Photo by John Vachon for the Office of War Information. April 1943. "San Augustine, Texas. 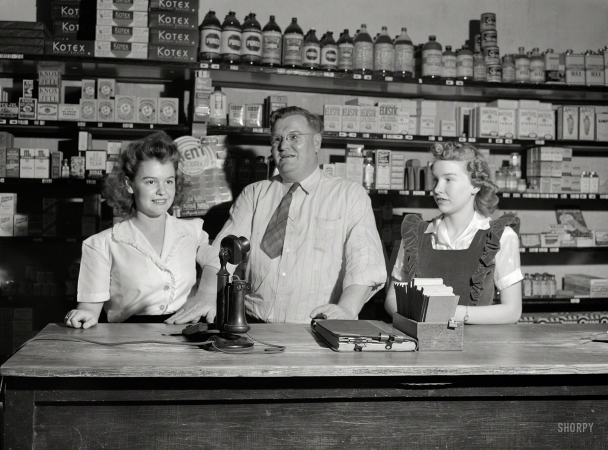 Clyde Smith, grocer, with his two daughters."